Pierre Herme is practically an institution amongst macaron connoisseurs. When a friend of ours took us to their store in 72 Rue Bonaparte, Paris last year, it was like seeing a slice of heaven. I went overboard and bought way too many pastries home but on my God, were they divine or what. Every morsel tasted like manna. I was ecstatic when Pierre Herme decided to set up shop in Selfridges. Although it doesn't have the variety one comes to expect from their flagship store in Paris, the macarons were displayed in an array of colors and packed in elegant boxes to take away. I came across this article from New Zealand Herald recently and it brought back wonderful memories. Well, mostly ones consisting of Ida and I gorging on our loot. My apologies for the slightly blurry photos. I could barely wait to dig in so ensuring that I had perfectly sharp and crisp photos was the last thing on my mind. The kind folks at the patisserie handed out a couple of pink macarons (to match her dress) to L but greedy mommy ate most of them. 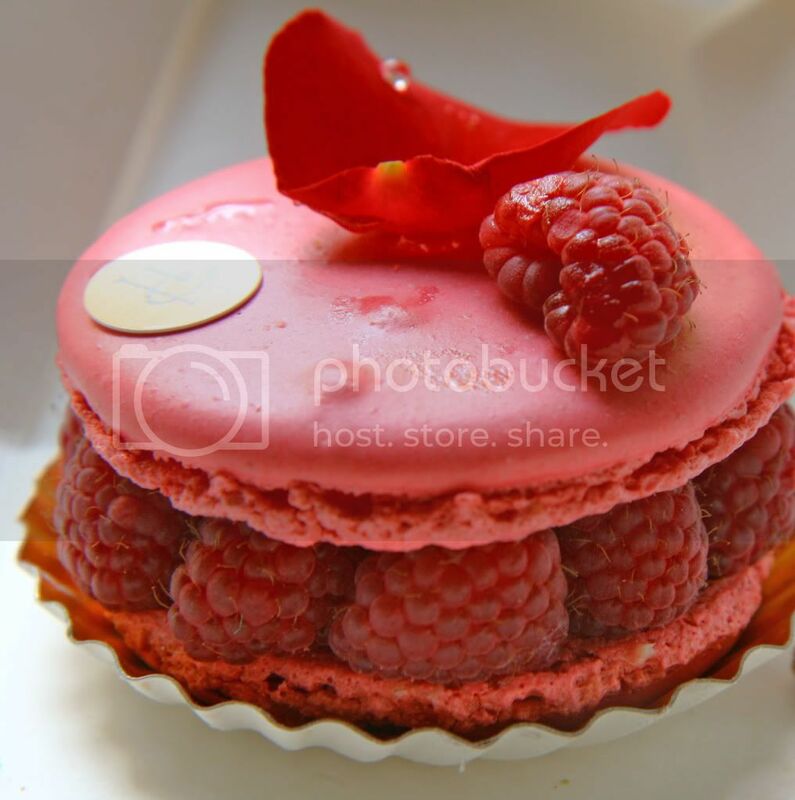 Oooh, the famous Ispahan! 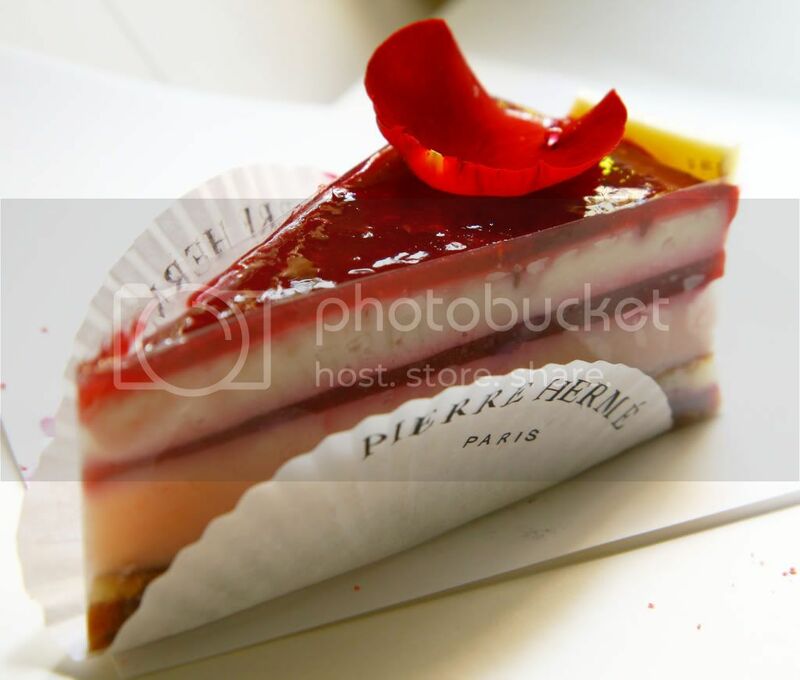 My first introduction to Pierre Herme was the Ispahan, the very friendly Frenchman behind me in the queue at the Rue Bonaparte store told me that I had to try that, and, boy, it was fantastic. Adriana Zumbo (Sydney) did a very nice dessert in the same famous combination of rose, lychee and raspberry as well. Ispahan was my favorite. Laduree pastries definitely pales in comparison. The pistachio pie was amazing! 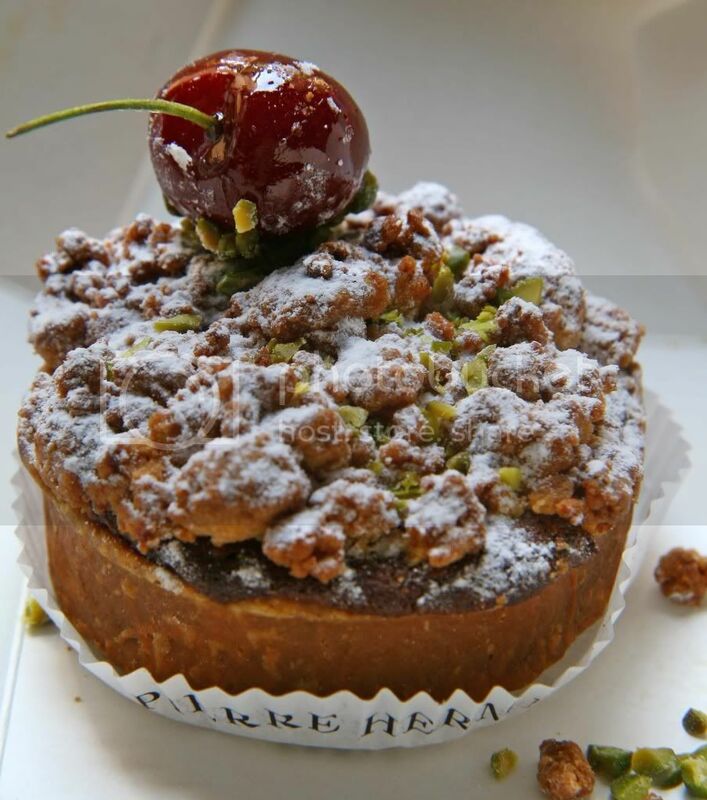 I wish the Pierre Herme in Selfridges offers more than just macarons.